Having healthier, more radiant skin is easier than you might think. In fact, you can improve your skin's health dramatically by doing one simple thing every day. And you're going to love this recommendation. It won't cost you a dime - and it feels great. All you have to do is get some sleep! I know, you're thinking you're already getting enough sleep. But a few hours isn't enough. Most people need about seven or eight hours of rest to fully reap sleep's benefits for your skin. We don't call it "beauty sleep" for nothing! But when you sleep matters almost as much as how long you sleep. You may have heard the saying that "An hour's sleep before midnight is worth two after midnight." There's definitely some truth to that. The quality of sleep you get from 10:00 p.m. to 6:00 a.m. will be better than from 2:00 a.m. to 10:00 a.m. And that's especially true for your skin. 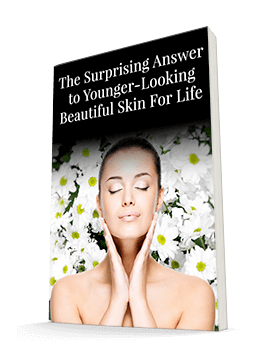 Your skin restores itself every night by quickly replicating new cells. Your body's biological rhythms control this process, and they usually start around 11:00 p.m. You want to be asleep by then to help your body do its best work for your skin. You can also help your skin's processes by applying a collagen-boosting moisturizing cream, such as Systéme 41's Night Treatment, by 10:00 p.m. This will allow the active ingredients in the cream to work together with your body's rhythms so you achieve maximum results. Because sleep is so important for your skin, make sure you're taking the time to ensure you're able to fall asleep easily and stay asleep. Try a hot bath before bed and consider epsom salts on those nights your muscles feel tight to help you relax or a neck and face massage. Stay away from caffeine and spicy foods before bed. But that's not all you can do. Make sure your bedroom is completely dark, as any source of light can interfere with sleep. And take a supplement with dinner to help calm your system, such as Advanced Bionutritionals Advanced Sleep Formula or a formula containing similar ingredients. This supplement will help you relax and get the great night's sleep you need to help your skin look its best. Semin Respir Crit Care Med. 2010 Oct;31(5):618-33. doi: 10.1055/s-0030-1265902. Epub 2010 Oct 12.